St. Martin's Griffin, 9781250306890, 528pp. L. Penelope has been writing since she could hold a pen and loves getting lost in the worlds in her head. She is an award-winning author of new adult, fantasy, and paranormal romance. She lives in Maryland with her husband and their furry dependents: an eighty-pound lap dog and an aspiring feral cat. 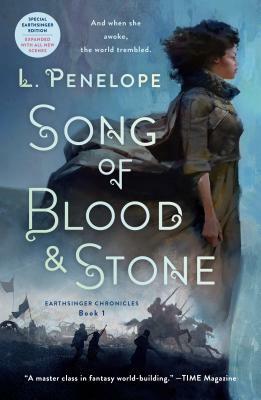 SONG OF BLOOD AND STONE is her first novel.